Sant’Amate ‘s church is a little mountain chapel at an altitude of 1.623 m (5,324 ft) above the sea level. It is located on a mountain ridge which leads to the locally famous mountain “Monte Bregagno”. From here, you can enjoy a breathtaking view of the lake and the surrounding hills. From the start the hike takes places in a typical mountain environment. After a while trees disappear and leave room for grassy pasture. 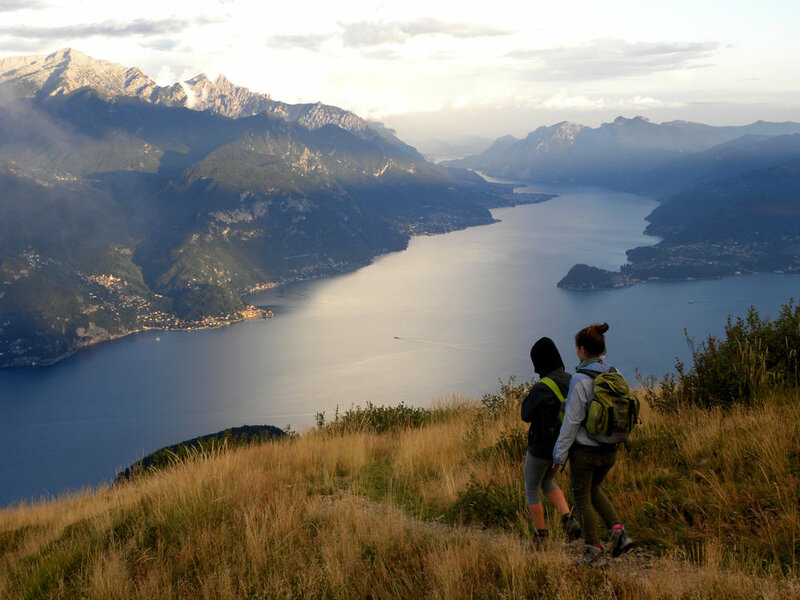 From up here you have a clear, photographic view of Lake Como and the whole area all around. You really get the impression of walking in the sky!